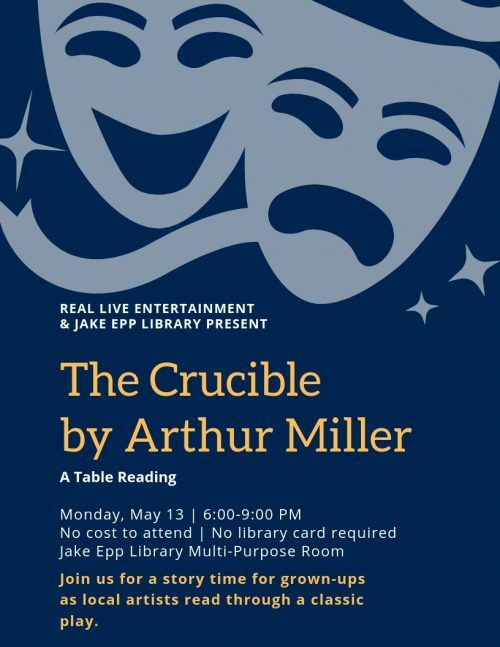 Real Live Entertainment and Jake Epp Library present: “The Crucible” by Arthur Miller! Join us for an adult story time as local artists read through this classic play. There is no cost and no library card required to attend this event.